There are several tutorials out there on how to make a small, rubber band powered, wooden ornithopter – but I thought I would give 3d printing as much of the model as I could. The result is above, and while it is very sturdy and surprisingly pretty for a cobbled together first attempt – it doesn’t fly very well at all. It will flap furiously when held in the hand (much like a real bird I’d assume, but with less pecking) but when pushed out of the nest, it gives a feeble flap or two before stalling and then insisting on making that urgent appointment with the ground. I suspect shoogling is the problem. This wonderous Scottish word is a variant of ‘wobble’, and can serve as my main concern with the ‘thopter. The axles (paperclips) are a little bendier than I’d like, and the holes which they go through, a little too generous. As such, the poor thing seems to thrash more than flap, and I’m sure I’m losing most of my energy that way. Still – an excellent weekend project, and maybe someone over at Thingiverse will be able to improve upon it! 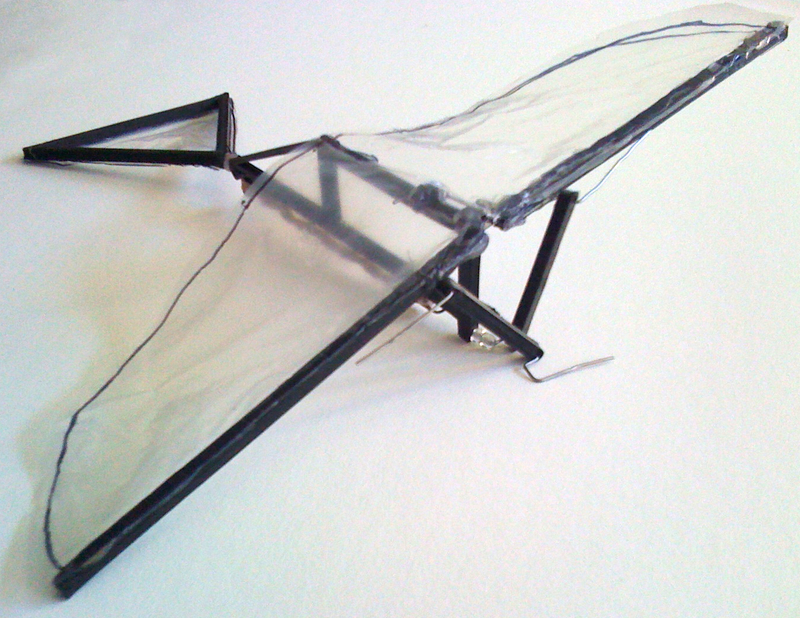 I think the idea of a mostly-3d printed ornithopter, has, as they say, legs.